Is it possible to buy a visa for the Federal Republic of Germany? No. A visa for entering Germany is personalised and issued only to a specific individual. Visas cannot be sold or given to someone else. Only embassies and consulates general of the Federal Republic of Germany can issue visas. In some countries, visas can also be applied for through an external service provider – however, only those that have been contracted by the German mission abroad may do so. For information on these external service providers, visit the websites of the respective German missions abroad. No person or organisation other than those listed on the websites may issue visas or make visa application appointments. Visas have anti-falsification features. They can therefore not be forged. Forgeries will be immediately identified at the border. What is a visa needed for? Many foreign nationals who want to enter Germany require official permission to do so, in the form of a visa. The visa must be obtained before arriving in Germany. Entering without a visa is illegal. For planned stays of up to 90 days in the so-called Schengen area, the decision on whether or not a visa is issued is taken according to uniform criteria. The Schengen area comprises 26 European countries. Most of these are members of the European Union (EU). A Schengen visa entitles its holder to stay in the Schengen area as long as the visa is valid, but no longer than 90 days in any 180-day period. When a visa is granted, stays for the purpose of tourism, visiting friends or family, and conducting business are generally allowed. EU visa regulations contain a list of third countries whose citizens require a visa, and those whose citizens do not (https://www.auswaertiges-amt.de/en/einreiseundaufenthalt/-/231148). The purpose of the trip to Germany must be plausible and comprehensible. The applicant must be in a position to finance his/her living and travel costs from his/her own funds or income. Some applicants cannot provide these guarantees on their own. For them, an acquaintance or relative in Germany may agree to cover the costs of their stay – but only by making an official declaration of commitment at a Foreigners Registration Office in Germany. Anyone who wishes to travel to Germany must show that he/she will leave the country after his/her Schengen visa expires. For a visa, documentary evidence must be provided of travel health insurance for the entire duration of the trip. This insurance must be valid throughout the Schengen area, with a minimum coverage of 30,000 euros. Stays of more than three months are not governed by the Schengen process. For these, national regulations apply. The Federal Republic of Germany requires nearly all citizens of non-EU countries to obtain a visa. Note: longer stays may be authorised for certain purposes only, such as to rejoin a spouse, study at a university or take up employment (in particular, researchers and highly qualified workers). Depending on the place of residence, different prerequisites must be met, and different documents need to be presented. Whether or not an applicant will be granted a visa is decided by the respective visa section, based on the presented documents. The documents required for this vary, depending on the case. How can a visa be obtained? For both Schengen and national visas, anyone wishing to apply must go in person to a German mission abroad. An appointment is required. In some countries, visa applications can also be submitted through an external service provider that has been contracted by the German mission abroad. At some missions, you can also make an appointment online. At others, you must call and schedule an appointment. For all relevant information and telephone numbers, visit the websites of the missions in the country in which you wish to apply. You may need to schedule significantly in advance. In some cases, your actual appointment will be several weeks after you arrange it by phone. Use only visa services that you find on the website of the German mission in your country. Appointments are made only by the mission abroad, or by its external service provider. Applicants must make appointments directly and in person. Do not trust any so-called agency that claims it can make an early appointment for you. This is not possible. You must bring all necessary documents with you to your appointment. It is a good idea to find out in advance which documents will be required. This information can also be obtained on the websites of the missions abroad. How long does it take the visa section to decide whether or not a visa will be issued? In general, it takes missions abroad between two and ten working days to make decisions on visas for stays of up to 90 days. For longer stays, a decision may take more than three months, because authorities in Germany will need to be involved. Is there a visa fee? The fee for a Schengen visa is 60 euros. A national visa for Germany normally costs 75 euros. The fee can also be paid in a country’s national currency. There are exceptions to the fees. For example, applicants for a vocational training or study visa are not required to pay a fee. Minors pay a reduced fee. Stays of more than three months will generate additional costs, such as the fee for a German residence permit. If my visa was rejected, can I apply again? Yes. 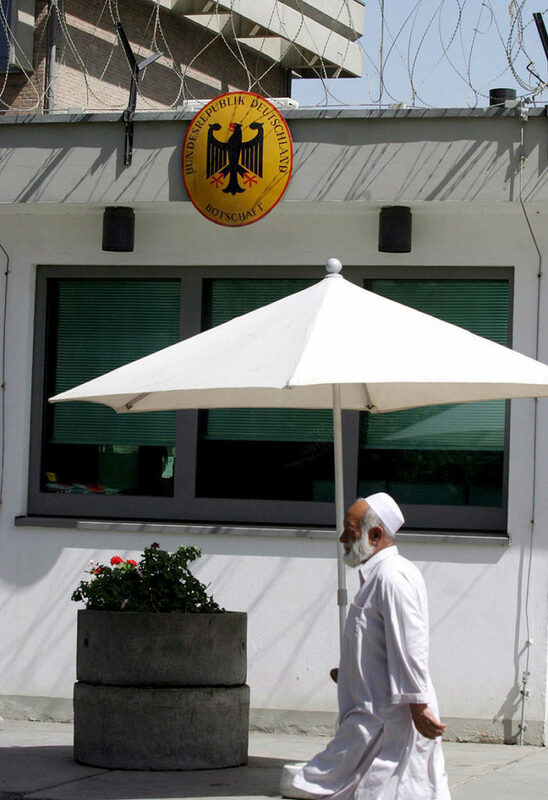 Everyone is welcome to apply for a visa at a German mission. However, if a previous visa application of yours has been rejected, you must show that the reason for this rejection is no longer valid. This will be more difficult to prove the more applications you have filed. In Zaatari, people start to earn a living. Some hope to endure, so that they can return home. Your nationality = your right to asylum? Only people who have suffered or are likely to suffer persecution or serious harm are entitled to protection. Every single case will be examined closely in a detailed procedure. People who do not fulfill the requirements of the Geneva Refugee Convention or of German Asylum Law, will have to leave Germany and go back to their country of origin or country of first entry. What are some of the most common false promises made by human traffickers? Refugees told European media about the most common and most brazen lies they’ve had to hear.